3D printed food? Ten years ago this is something we’d never think of. Now, it seems like 3D food printers will be the future of preparing foods. 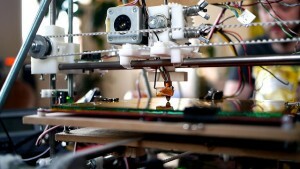 Usually, 3D printers print inorganic materials, such as plastics to make objects. So, how are we going to start printing food? And why is that something we want to do? 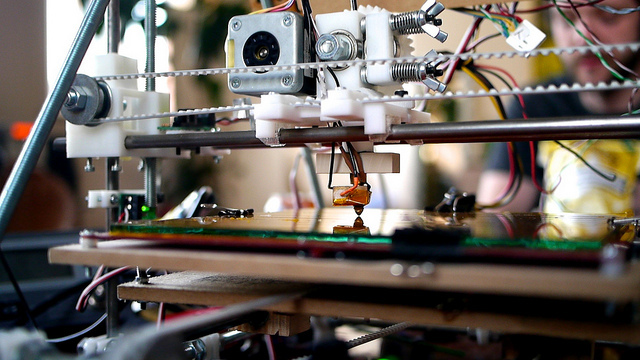 As you may know, 3D printing is a new technology that prints 3D objects from a digital file. It does this by layering a material on top of itself until the object’s dimensions are complete. Usually, these materials are plastics or resins. Food on the other hand, is an organic material. But it works in the same way. Food is inserted into the printer, and then it comes out printed and prepared. However, the food must have a certain level of viscosity (gooeyness) in order to be printed. Basically, ingredients must have the ability to be pureed in order to work. One company, called Natural Machines, is creating Foodini, a 3D Food Printer; it is almost ready for public release. Foodini allows people to prepare fresh ingredients, such as dough and filling for ravioli, put it into the printer, and watch the prepared food come out. Other 3D food printers are on the market to be released soon. But even though they’re not quite ready for everyone’s kitchen, some restaurants are beginning to use them! 3D printing food is a great option for people who struggle to swallow or chew hard food. Biozoon is a company in Germany that is already providing 3D printed food to thousands of seniors. While personal 3D food printers are set to cost a couple thousand dollars to begin with, it probably won’t be that expensive for long. With advancing technology, perhaps 3D food printers will be the new microwaves in 40 years!